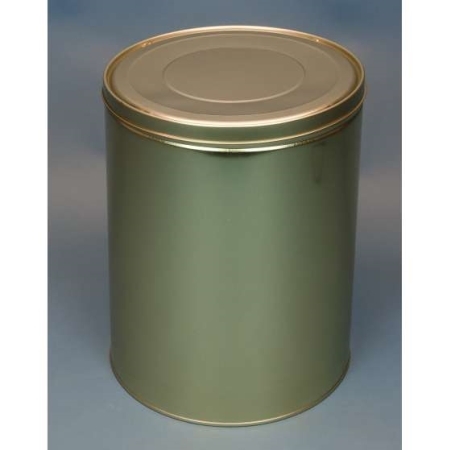 The large 30 lb industrial can with slip cover is ideal for safe and sanitary packaging. The large, 30 lb industrial metal tin with slip lid is constructed of three pieces consisting of a cover, body and a seamed on end. The industrial metal tins are a cost efficient solution without sacrificing functionality in metal packaging. Common uses are: auto body filler packaging, confections, cosmetics, dry mix, industrial wax, tea tins and ink cans. Not for use with liquids.